The Rashtrapati Bhawan in Delhi is the centerpiece of the city and the point which is of high political importance. Constructed initially for the Viceroy during the British rule, this majestic building is the official residence of the President of the country. 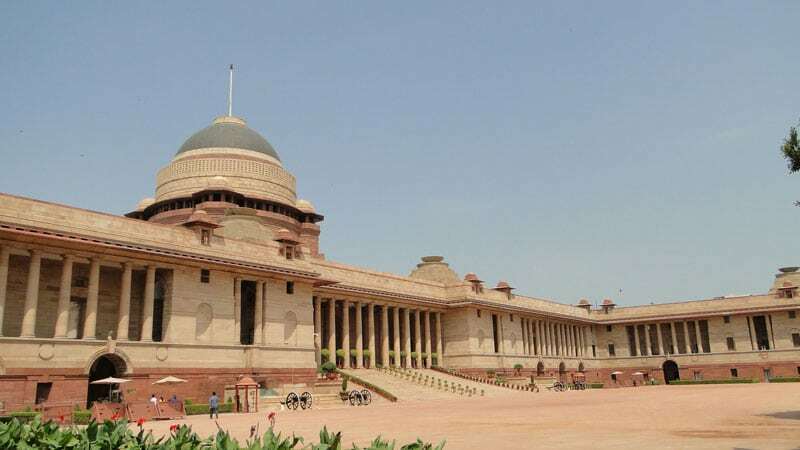 Spread over an area of about 320 acres, the huge grounds consist of the actual building where the President resides and carries out his duties from, the breathtaking Mughal Gardens and a Museum depicting the history of the various presidents of the country and their possessions. Located at Rajpath, this structure has got restricted timings for visitation with only certain spaces of the huge area being open to visitors. A visit to this official residence is a must to look into the grandeur of the structure and the various architectural styles incorporated into it. The Garden with its well-planned layout is an eye catcher indeed. 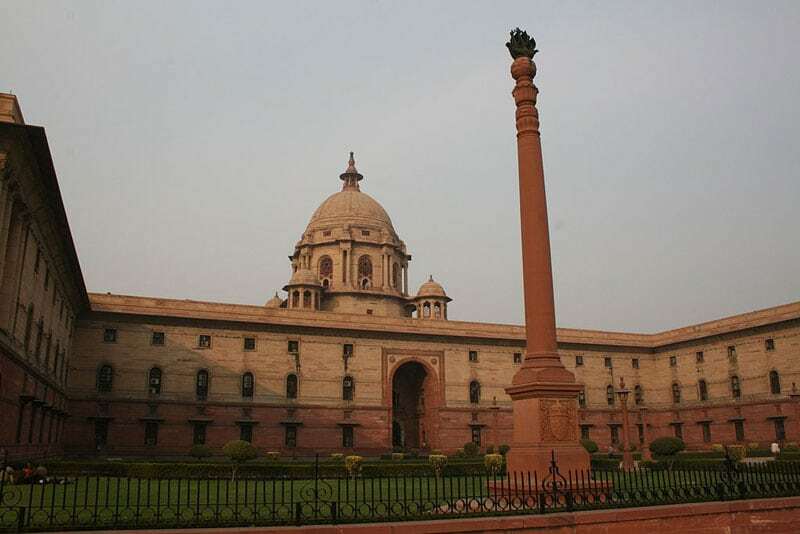 Book online if you plan on visiting the Rastrapati Bhawan during your trip to the city. Due to high security, there is a limit to which visitors are allowed to sightsee the location. Carry your ID cards when visiting the spot. Walk around the beautiful gardens which have got a wide variety of flowers and vegetables grown in it. Marvel at the intricately carved marble statues which adorn the premises. Click some really great shots in the photogenic location with its alluring backdrop. The gardens have also got canals, terraces and hedges which have got to be looked into. Have a look at the Clock Tower and the gifts that were presented to the various presidents in the Museum. The Museum has in addition also got 3D projections of the President’s speech, a VR walk along with the President and many other interactive platforms for enhancing visitor experience. Shop around at local markets and buy souvenirs from hawkers. Have fun tasting food from the various eateries and restaurants spread around the area. A visit to this location is better with a local guide who can give out pointers on the history and culture of the place. Their services can be availed at a certain fee. This location can be witnessed in its full glory during the Independence Day celebrations, with visitors being allowed a closer look as compared to normal days. The Gardens are open to visitors only for a certain period during the year i.e. from August to March. The Museum and the other parts of the main structure are open throughout the year. To enhance the visit experience, drop in at the location during the winters so as to escape the brunt of the heat. A central tourist spot, this is located at the east end of Rajpath in Vijay Chowk. The services of the HoHo (Hop on Hop off) buses can be availed upto the spot. The location is easily accessible through the metro with the nearest stopping being the Central Secretariat at both the Yellow and the Violet line. Cabs and auto rickshaws are always available in plenty to reach this location. The Museum was opened quite recently in 2014 to give citizens an insider view of the working of the President’s office. The central dome is said to be inspired by the design of the Pantheon in Rome. Roses and tulips are the flowers grown in plenty to increase the aesthetic appeal of the gardens. The construction of this majestic structure was completed in 1929. Right below the dome, lies the Durbar Hall which can accommodate up to 500 people in it. A Buddha statue said to be from the fifth century is located within the main building. The whole building is said to consist of about 340 rooms and holds the title of being one of the largest official residences of the head of the state. A visit to this location enhances our perspective on the various cultures which have had an influence on the history of the country and also makes us proud of our rich culture.